Interpol, the world’s leading police-cooperation body, aims to “connect police for a safer world.” Although the organization’s constitution states that Interpol cannot engage in “any intervention or activities of a political, military, religious or racial character,” it is increasingly being subverted by autocratic regimes seeking to pursue their exiled political opponents. The number of Red Notices (a type of arrest request issued through Interpol) has increased tenfold in the past fifteen years. Those targeted face the risk of arrest if they travel across borders; have difficulties obtaining visas and open bank accounts; and suffer reputational damage. Interpol remains opaque and lacks accountability for its actions. Recent reforms have started to address some of these issues. But more needs to be done to prevent the hijacking, repurposing, and weaponizing of Interpol by today’s globalized authoritarian regimes. The contest to replace Meng made international headlines for a second reason as well. In the days before the vote, Alexander Prokopchuk, former head of the bureau within Russia’s Ministry of Internal Affairs responsible for cooperation through Interpol, emerged as the leading contender to become the new president. In light of Russia’s reputation for misusing Interpol’s notice system as a weapon against regime opponents, Prokopchuk’s candidacy elicited alarm among analysts and political figures in the United States. A joint statement by four senators described his prospective accession as “akin to putting a fox in charge of [End Page 15] a henhouse.”2 In the end, opponents of the Russian candidate were able to rally enough support to block him and elect instead South Korea’s Kim Jong Yang. But just as talk of Russia’s “taking over” Interpol in the event of Prokopchuk’s victory was exaggerated—the president has a limited role in the organization’s day-to-day operations—so, too, would it be a mistake to think that the danger of Interpol’s abuse by autocrats has receded with his defeat. Long before 2018, authoritarian regimes had begun turning to Interpol for help in pursuing their political opponents abroad. Thanks in part to these efforts, those who fall afoul of such regimes often face continuing legal woes well after they leave their country. Russia did not require control over Interpol’s presidency, for instance, to transmit to criminal databases worldwide the name of Nikita Kulachenkov, an investigative accountant who worked for the Moscow-based Foundation Against Corruption headed by opposition activist Alexei Navalny. In 2013, Kulachenkov pulled down a flyer from a fence in Vladimir, a small city several hours to the northeast of Moscow. Soon Russia’s Investigative Committee—a state body that frequently targets critics of President Vladimir Putin—opened a criminal case against Kulachenkov for stealing the piece of street art, valued at less than two dollars by its creator. Fearing for his safety, Kulachenkov fled to Lithuania, where he was granted refugee status. Two years later, upon arriving in Nicosia, Cyprus, he was detained based on a second type of Interpol alert, an arrest request known as a “diffusion.” He spent three weeks in jail before an intervention by the Cypriot minister of justice finally secured his release. The United Arab Emirates, which has been accused of using Interpol as a collection agency by issuing notices against debtors, donated US$54 million to the global policing body in 2017—an amount that roughly equaled the statutory contributions of all other members combined.6 The use of Interpol to pursue critics abroad is not confined only to large or wealthy authoritarian states. Despite accounting for just 0.12 percent of the world’s population, Tajikistan has issued 2,528 Red Notices, or 2.3 percent of the total in circulation, including one against Muhiddin Kabiri, leader of the country’s main opposition party. In short, if authoritarianism has gone global, then Interpol is one of a number of organizations that have facilitated this move. The use of Interpol’s notice system against critics and opponents of autocracies has drawn growing public attention in recent years. In addition to the media investigations triggered by Russia’s pursuit of Browder and other high-profile cases, human-rights organizations have highlighted these abuses of Interpol and stressed their potential to undermine the personal freedoms and threaten the safety of those targeted.7 By 2016, the Council of Europe had grown sufficiently alarmed by Interpol’s misuse to appoint a special rapporteur on the subject. Scholars, on the other hand, have paid relatively little attention to the abuse of Interpol. A number of studies analyze the gradual expansion of the organization’s mandate, often presented as a response to globalization and the emergence of transnational threats such as terrorism and organized crime.8 These trends, scholars argue, have broken down the barriers between the national and the international, leading to the emergence of global policing—”the capacity to use coercive and surveillant powers around the world in ways that pass right through national boundaries unaffected by them.”9 The abuse of Interpol, however, is largely absent from these accounts. In fact, the use of Interpol against political dissidents represents an important and understudied aspect of today’s globalized autocracy.13 Powerful authoritarian states have sought to dilute the democratic dimensions of various international organizations and implant “rule by law” into these bodies by such means as promoting “cyber sovereignty” at the UN and seeking to weaken the election-monitoring capacity of the Organization for Security and Co-operation in Europe. At the same time, autocrats have created regional institutions, such as the Shanghai Cooperation Organization and the Venezuela-led Bolivarian Alliance for the Peoples of Our America, that bolster the regime security of weaker autocracies by redistributing resources and conferring legitimacy.14 They have hired lobbyists and set up think tanks to whitewash their reputations in Washington, London, and Brussels, and they have developed sophisticated media platforms, such as RT (formerly Russia Today) and China Global Television Network, that work to discredit democracy in the eyes of audiences around the world.15 Attempts by autocrats to pursue their domestic political opponents through Interpol form part of this broader process of authoritarianism going global. Many dissidents and exiles targeted through Interpol after fleeing to Europe or North America have managed to avoid being extradited. They have argued that the charges against them are politically motivated and that their extradition would violate the non-refoulement principle, which prohibits sending individuals back to states where they are likely to suffer persecution. Why, then, have authoritarian states gone to the trouble of issuing so many of these arrest requests? Based on interviews with 23 individuals from Russia, Turkey, Tajikistan, and Uzbekistan who have been subject to Red Notices, I argue that manipulating the Interpol system serves both a punitive and a symbolic function. Even if authoritarian regimes do not succeed in having their opponents extradited, merely placing these individuals on an Interpol list affects their ability to travel freely, normalize their immigration status, open bank accounts, rent property, and find work. In this way it raises the costs of dissent, even for those with the option of fleeing abroad. Beyond these punitive elements, authoritarian states also use Interpol to signal the legitimacy of their claims. With 203 territorial entities participating (194 of which the organization counts as independent countries), Interpol is second only to the United Nations in the breadth [End Page 18] of its global membership. Although Interpol clearly states that it does not take political sides and that Red Notices are not tantamount to guilty verdicts against those targeted, authoritarian regimes consistently use the presence of dissidents on Interpol lists as proof of an international consensus regarding their guilt. The drive toward transnational police cooperation can be traced back at least to the late nineteenth century, and an authoritarian element was present from the start. Following the wave of revolutions that swept through Europe in 1848, the continent’s autocrats began to take an interest in cooperating to suppress anarchists and revolutionaries. After the assassination of Empress Elisabeth of Austria by an Italian anarchist in 1898, delegates from 21 countries assembled for the first International Anti-Anarchist Conference in Rome. Shortly before the outbreak of the First World War, Johannes Schober, head of the Vienna police, and Prince Albert of Monaco convened the International Criminal Police Congress. This gathering, among other things, formulated a set of goals later embraced by Interpol. Initially titled the International Criminal Police Commission, Interpol itself was founded in 1923 in Vienna, with fifteen members. The organization assumed the name Interpol after reconstituting itself in the wake of the Second World War—during which time it had fallen into Nazi hands and had even briefly made Reinhard Heydrich its head. According to the constitution adopted when Interpol took on its new name in 1956, the organization’s role is to “ensure and promote the widest possible mutual assistance between all criminal police authorities.” It acts as an “information clearinghouse,” staffed by criminal-intelligence specialists who maintain international criminal databases and facilitate contact among officers from different national police forces. Now headquartered in Lyon, France, Interpol employs close to nine-hundred people. Of the eight types of notices issued by Interpol, the organization’s famed Red Notices most routinely have been used by authoritarian states to pursue their opponents abroad. These notices are requests sent to members that “seek the location of a wanted person and his/her detention, arrest or restriction of movement for the purpose of extradition, surrender or similar lawful action.”16 All Red Notices are reviewed by the General Secretariat to ensure that they contain sufficient information and that the charges that form the basis for the request are not politically motivated. If authoritarian governments wish to circumvent this requirement, however, they also have the option of pursuing their opponents abroad using Interpol’s less widely known diffusions. Like Red Notices, diffusions, often described as “all-points bulletins,” are aimed at locating and securing the arrest of a wanted individual—but they are sent directly to members through Interpol’s web-based information-sharing system, without first passing through any oversight mechanism. For both Red Notices and diffusions, the volume of alerts issued has grown dramatically since the 2000s. A recent Interpol fact sheet reports that the number of diffusions in circulation has risen to more than 100,000, with 50,530 of these alerts issued in 2017 alone. In 2002, by comparison, only 7,500 new diffusions were issued. Similarly, Interpol issued 13,048 Red Notices in 2017, as compared to a mere 1,277 in 2002.17 A number of factors likely contributed to this surge. It may, in part, be related to the increase since 2013 in foreign fighters traveling to Syria and Iraq to take part in armed conflicts there. Just how often do regimes attempt to pursue politically motivated cases through the Interpol system? Assessing the precise number of abusive Red Notices and diffusions is difficult. Based on figures from 2016, Theodore Bromund of the Heritage Foundation made a rough estimate that the deletion rate of Red Notices was 1.3 percent.20 Given that many targets are unaware that they have been placed in the Interpol database until they are detained, however, the total number of abusive notices issued is likely significantly higher. 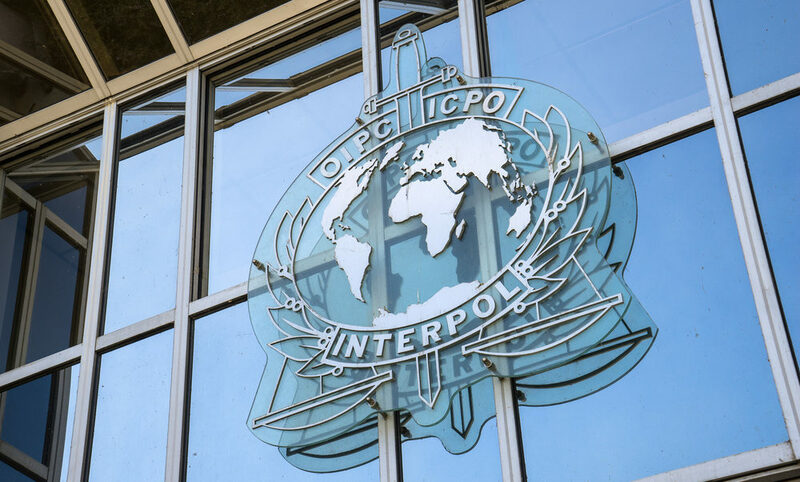 Since Fair Trials International and other organizations began drawing attention to the misuse of Interpol in 2012, the organization has taken steps toward reform. It announced in 2015 that it would not publish Red Notices for individuals who had obtained refugee status, and that it would remove existing entries for such persons. At the same time, Interpol declared its plans to subject Red Notices to increased scrutiny, publishing them only after a formal review. A new structure and set of operating rules, approved by the General Assembly in 2016, went into effect in March 2017. This overhaul restructured the CCF into two chambers, one focused on ensuring compliance with data-security rules and the other charged with handling applications for information and deletions by persons subject to Red Notices. But despite this progress, deep-rooted problems remain. Interpol remains opaque, secretive, and lacking in accountability. It was ranked last among the ten entities surveyed under the “intergovernmental organizations” category in One World Trust’s Global Accountability Report for 2007, falling below regional organizations such as the African Union and OSCE and significantly below higher-performing UN agencies.21 This lack of accountability stems in large part from its ambiguous status under international law: Interpol functions like an international organization. In fact, however, it was not founded on the basis of an intergovernmental treaty, and so it is technically a nongovernmental organization, a transnational network made up of national police forces rather than of member states to which it is externally accountable. Although Interpol claims to offer individuals a seemingly broad “right of access” if their personal information appears in the organization’s databases, in practice such access is quite limited. For those who believe they may have been targeted, seeking information about their status can be an arduous task. Most Red Notices are not published online, and when they are, this is done only with the consent of the issuer. Since the data stored by Interpol is formally owned by the issuing states, [End Page 21] the organization’s rules also require the General Secretariat to obtain their consent in order to delete information from its database or release it to individuals. In some cases the CCF has made exceptions, disclosing information without permission. Nonetheless, many individuals learn about the existence of their Red Notices only when they are detained by local police. Individuals can petition the CCF to have their Red Notices removed if they are found to violate Interpol’s rules. New operating rules introduced in 2017 mean that CCF decisions are binding and the body has to give a reason for rejecting requests. But individuals have no right to appeal. In a 2016 hearing at the Tom Lantos Human Rights Commission in the U.S. House of Representatives, Rebecca Shaeffer of Fair Trials argued that the CCF’s work in reviewing Red Notices for possible violations “is not effective and falls well short of meeting basic procedural standards.”22 Of the soaring number of Red Notices, just three percent are assessed in detail by the CCF.23 The CCF is also understaffed and underfunded. In 2012, it was assigned just 0.2 percent of the total funding allocated by Interpol’s budget. Moreover, implementation of the new policy protecting persons with refugee status, which is yet to be published on Interpol’s website despite having been announced in 2015, has been uneven. There have been some successful applications for deletions under the new rules. Dolkun Isa, president of the World Uyghur Congress, had his Chinese-issued Red Notice deleted in early 2018. (He had received refugee status more than two decades earlier in Germany, where he had since become a citizen. )24 Kabiri, the leader of Tajikistan’s Islamic Renaissance Party, successfully had his Red Notice removed in early 2018 after receiving asylum in the EU.25 Yet as late as August 2017, Turkish journalist Hamza Yalcin was detained in Spain on a Red Notice despite having been granted asylum in Sweden. Part of the problem lies in the strategic culture of Interpol itself. Some within the organization have tended to view human-rights considerations and the involvement of diplomats in law-enforcement activities primarily as hindrances to efficient work.26 While Interpol seems to recognize the need for reform to counter politically motivated notices, it has not made this a main priority. The organization’s “Strategic Framework 2017–20” makes no mention of upholding human rights. Nor was the abuse of Interpol by members discussed at the 2017 General Assembly in Beijing, although members did find time to note “mounting concerns that dangerous [End Page 22] criminals and terrorists might try to abuse the refugee protection regime.”27 Given that respect for the rule of law is far from uniform among Interpol’s nearly two-hundred members, not all of these states can (or indeed wish to) guarantee a fair trial for those extradited through the Interpol system. Yet Interpol, which operates on the basis of equality among members, does not distinguish between requests for Red Notices issued by authoritarian regimes and those issued by liberal democracies. In Tajikistan, state media frequently cite the presence of opposition members on Interpol lists as proof that the groups to which they belong are “international criminal and terrorist organizations” that threaten stability not only in Tajikistan but on a global level. Kabiri’s inclusion on Interpol’s wanted list in 2016 received wide mention.29 In this regard, Interpol notices serve a function not unlike that of the “anti-extremist” initiatives, including joint blacklists of individuals, launched under the auspices of authoritarian-led regional organizations such as the Shanghai Cooperation Organization.30 Both confer outside legitimacy on repressive policies while also providing a channel through which authorities can take tangible action against their critics abroad. Beyond its legitimizing function, Interpol also offers autocrats a convenient tool for harassing political exiles and disrupting their daily lives. On its website, Interpol stresses that individuals against whom Red Notices are issued “are suspected of committing a crime but have not yet been prosecuted and so should be considered innocent until proven guilty.”33 Nonetheless, the U.S. bureau for Interpol cooperation estimates that about one-third of the organization’s members treat a Red Notice as a “provisional arrest warrant.” Given this situation, Fair Trials International has argued that Red Notices “often have serious human impact, placing individuals at risk of arrest and lengthy detention, restricting freedom of movement and impacting upon the private and family life of the individual concerned.”34 Many of these concerns also emerged in my interviews. Growing up in rural Tajikistan, I was concerned about the harvest, making ends meet, finding a wife. I was just an ordinary guy. And now I have found myself thousands of miles from home, unable to return and subject to an international arrest warrant. Such “warrants” can have far-reaching consequences. Individuals stopped at national borders on the basis of Red Notices have been detained without trial, and without any evidence being brought against them, for up to nine months. The Turkish media widely reported my Red Notice, labeling me a terrorist. It does not only discredit me, it discredits the news agency I work with. How can we persuade doubters to trust us if we are labeled terrorists? Dissidents may find themselves grappling with these practical and reputational challenges over extended periods of time. Many individuals remain on Interpol wanted lists long after they have been granted refugee [End Page 24] or asylum status. Despite Interpol’s recent moves toward reform, it often takes years for such persons to get their names stricken from these lists. I think I am on the Interpol list. I went to open a bank account when I arrived in Poland, but was told that I did not pass the security clearance. My lawyer has written to Interpol requesting information about whether I am in their database. It has been three months and I have not heard. I was recently granted asylum. But I do not want to travel beyond Europe without knowing my status. Interpol’s lack of transparency creates a similarly uncertain situation for many political exiles. Among those who remain in the dark as to their status, fear of being on the Interpol list causes many to restrict their own activities and act with caution even after they have been granted asylum. The use of Interpol forms one aspect of a broader strategy of transnational repression, which includes harassing exiles’ relatives in the home country, online intimidation, extraordinary rendition, and assassinations.35 Such practices aim to bolster authoritarian rule by ensuring that dissent will be costly, even for those who flee to foreign jurisdictions. Given that most exiles subject to Red Notices are also subject to other forms of repression, measuring the effectiveness of this particular tool in quashing dissent remains difficult. Evidence from my interviews, however, suggests that despite the hardships that Red Notices create, they have not generally succeeded in forcing the targeted individuals out of politics. Of the 23 exiles interviewed, only two reported that their Red Notice had made them decide to end their political activities. Despite its limited success in deterring the political activities of targeted exiles, the use of Interpol and other forms of transnational repression aimed at raising activism’s cost may well be having a broader deterrent effect on diaspora populations. Policing increasingly transcends territorial boundaries. As Interpol has expanded its activities to counter transnational security threats, authoritarian regimes have also intensified their efforts to harness its capabilities against political opponents based abroad. In decisions about Interpol’s structure and operations, however, arguments stressing the need to respond swiftly to urgent threats still tend to outweigh concerns about protecting human rights and the rule of law. Ultimately, Interpol lacks accountability and independent oversight. Given this situation, and the abiding culture of opacity in the organization, Interpol has few incentives to open itself to scrutiny or to initiate extensive reforms. Democratic states have several options for confronting the abuse of Interpol. They can pursue the path of engagement with the global policing body, pushing for more transparency in its operations, increasing the burden of proof for those issuing detention requests, preventing states from repeatedly submitting Red Notices previously rejected by the CCF as politically motivated, and demanding that Interpol more rigorously enforce its own rules. Alternatively, they can, as Bill Browder has suggested, take steps to suspend abusive states from Interpol.36 Such a move would require Interpol to abandon its assumption of sovereign equality, the erroneous idea that all members uphold a common global standard of judicial integrity. A more drastic move would be for democratic states to abandon Interpol entirely and establish a new police-cooperation organization open only to democracies. Whether democratic states choose dialogue or disengagement, they will need to grapple with the growing efforts of the world’s globalized authoritarians to hijack, repurpose, and weaponize Interpol. 1. Edward Wong and Alissa J. Rubin, “Interpol Chief Meng Hongwei Quits and Is Detained by China,” New York Times, 7 October 2018; “China’s Law-Enforcers Are Going Global,” Economist, 31 March 2018; “President Xi Jinping Opens INTERPOL General Assembly,” Interpol, 26 September 2017, https://www.interpol.int/News-and-Events/News/2017/President-Xi-Jinping-opens-INTERPOL-General-Assembly. 2. Carl Schreck, “Interpol Might Get a Russian President, But His Clout Seen as Limited,” Radio Free Europe/Radio Liberty, 20 November 2018, www.rferl.org/a/interpol-might-get-a-russian-president-but-his-clout-seen-as-limited/29611331.html. 3. Colin Dwyer, “Bill Browder, Kremlin Critic, Briefly Arrested in Spain for Murky Reasons,” NPR, 30 May 2018, www.npr.org/sections/thetwo-way/2018/05/30/615456964/bill-browder-kremlin-critic-briefly-arrested-in-spain-for-murky-reasons; “Moscow Accuses Bill Browder of Poisoning Sergey Magnitsky, As Russia Is Expected to Win Interpol’s Next Presidency,” Meduza, 19 November 2018, https://meduza.io/en/feature/2018/11/19/moscow-accuses-bill-browder-of-poisoning-sergey-magnitsky-as-russia-is-expected-towin-interpol-s-next-presidency. 4. Jago Russell, “Turkey’s War on Dissent Goes Global,” Foreign Policy, 1 May 2018. 5. “Venezuela Asks Interpol to Arrest Politician over Alleged Assassination Plot Targeting President,” South China Morning Post (Hong Kong), 11 August 2018. 6. “In 2017 the UAE Donated €50 Million to Interpol,” Arab Organisation for Human Rights in the UK, 18 May 2018, http://aohr.org.uk/index.php/en/all-releases/item/8760-in-2017-the-uae-donated-%E2%82%AC50-million-to-interpol.html. 7. See for instance Kathy Gilsinan, “How Russia Tries to Catch Its ‘Criminals’ by Abusing Interpol,” Atlantic, 30 May 2018; “The Misuse of Interpol’s Database,” New York Times, 11 November 2015; Fair Trials International, “Strengthening Respect for Human Rights, Strengthening INTERPOL,” November 2013, www.fairtrials.org/wp-content/uploads/Strengthening-respect-for-human-rights-strengthening-INTERPOL4.pdf; Igor Savchenko, “The Report: The Interpol System Is in Need of Reform,” Open Dialogue Foundation, 24 February 2015, https://en.odfoundation.eu/a/5947,the-report-the-interpol-system-is-in-need-of-reform. 8. On this topic see, inter alia, Malcolm Anderson, Policing the World: Interpol and the Politics of International Police Co-operation (Oxford: Clarendon Press, 1989); Michael Barnett and Liv Coleman, “Designing Police: Interpol and the Study of Change in International Organizations,” International Studies Quarterly 49 (December 2005): 593–619; Peter Andreas and Ethan Nadelmann, Policing the Globe: Criminalization and Crime Control in International Relations(Oxford: Oxford University Press, 2006). 9. Ben Bowling and James Sheptycki, Global Policing (London: Sage, 2012), 8. 10. See, inter alia, Thomas Ambrosio, “Constructing a Framework of Authoritarian Diffusion: Concepts, Dynamics, and Future Research,” International Studies Perspectives 11 (November 2010): 375–92; Jakob Tolstrup, “Black Knights and Elections in Authoritarian Regimes: Why and How Russia Supports Authoritarian Incumbents in Post-Soviet States,” European Journal of Political Research 54 (November 2015): 673–90; Oisín Tansey, “The Problem with Autocracy Promotion,” Democratization 23, no. 1 (2016): 141–63; Steven Heydemann and Reinoud Leenders, “Authoritarian Learning and Authoritarian Resilience: Regime Responses to the ‘Arab Awakening,'” Globalizations 8, no. 5 (2011): 647–53; Oisín Tansey, Kevin Koehler, and Alexander Schmotz, “Ties to the Rest: Autocratic Linkages and Regime Survival,” Comparative Political Studies 50 (August 2017): 1221–54. 11. Dana M. Moss, “Transnational Repression, Diaspora Mobilization, and the Case of The Arab Spring,” Social Problems 63 (November 2016): 480–98. 12. See for instance Alexander Cooley, “Authoritarianism Goes Global: Countering Democratic Norms,” Journal of Democracy 26 (July 2015): 51. 13. See Larry Diamond, Marc F. Plattner, and Christopher Walker, eds., Authoritarianism Goes Global: The Challenge to Democracy (Baltimore: Johns Hopkins University Press, 2016). 14. Alexander Libman and Anastassia V. Obydenkova, “Understanding Authoritarian Regionalism,” Journal of Democracy 29 (October 2018): 151–65. 15. Alexander Cooley, John Heathershaw, and J.C. Sharman, “The Rise of Kleptocracy: Laundering Cash, Whitewashing Reputations,” Journal of Democracy 29 (January 2018): 39–53. 16. “Interpol’s Rules on the Processing of Data,” updated 2016, 34. For Interpol documents, please see www.interpol.int/Resources/Documents. 17. “Interpol Notices System,” Interpol Fact Sheet, COM/FS/2018-03/GI-02, 2; “Interpol at Work: General Secretariat 2002 Activity Report,” 2; “Interpol at Work: General Secretariat 2003 Activity Report,” 5. 18. Meg Stalcup, “Interpol and the Emergence of Global Policing,” in William Garriott, ed., Policing and Contemporary Governance: The Anthropology of Police in Practice (New York: Palgrave MacMillan, 2013), 231. 19. Fair Trials International, “Strengthening Respect,” 38–40. 20. Theodore R. Bromund, “Are Abusive Interpol Red Notices Increasing?” Heritage Foundation, 28 September 2018, www.heritage.org/global-politics/commentary/are-abusive-interpol-red-notices-increasing. 21. Robert Lloyd, Jeffrey Oatham, and Michael Hammer, 2007 Global Accountability Report(London: One World Trust, 2007), www.oneworldtrust.org/accountability.html, 7. On the issue of Interpol’s accountability see also James Sheptycki, “The Accountability of Transnational Policing Institutions: The Strange Case of Interpol,” Canadian Journal of Law and Society 19 (April 2004): 107–34. 22. “Allegations of Misuse of the Interpol Red Notice Process,” Briefing Before the Tom Lantos Human Rights Commission, 114th Cong., 12 September 2016 (statement of Rebecca Shaeffer, Senior Legal and Policy Officer, Fair Trials), https://humanrightscommission.house.gov/events/hearings/allegations-misuse-interpol-red-notice-process, 3. 23. Christopher David and Nicholas Hearn, “Wanted Posters or Political Weapons?” Law Society Gazette, 8 October 2018, www.lawgazette.co.uk/practice-points/wanted-posters-or-political-weapons/5067820.article. 24. “China Upset as Interpol Removes Wanted Alert for Exiled Uighur Leader,” Reuters, 24 February 2018, www.reuters.com/article/us-china-xinjiang/china-upset-as-interpol-removes-wanted-alert-for-exiled-uighur-leader-idUSKCN1G80FK; “Exiled Uyghur Leader Says ‘Red Notice’ Demonstrates China’s Harassment of Critics Abroad,” Radio Free Asia, 7 March 2018, www.rfa.org/english/news/uyghur/notice-03072018173643.html. 25. Bruce Pannier, “Rare Triumph for Tajikistan’s IRPT, as Leader Removed from Interpol’s ‘Red Notice,'” Radio Free Europe, 3 March 2018, www.rferl.org/a/tajikistan-islamic-renaissance-party-leader-kabiri-interpol/29076658.html. 26. Fenton Bresler, Interpol: A History and Examination of 70 Years of Crime Solving (London: Mandarin, 1993), 366–68. 27. “Interpol Policy on Refugees,” Resolution No. 9, GA-2017-86-RES-09, Interpol, 1. 28. David Lewis, “‘Illiberal Spaces’: Uzbekistan’s Extraterritorial Security Practices and the Spatial Politics of Contemporary Authoritarianism,” Nationalities Papers, 43 (January 2015): 140–59. 29. See, for example, “HNIT va Davlati Islomi. Isboti Amali Yak Budani Ta’limot, Fa’liyat va Maksadi Du Tashkiloti Ekstremisti” [IRPT and Islamic State: Their purpose, activities and education are both extremist], Jumhuriyat, 9 November 2017, http://jumhuriyat.tj/index.php?art_id=31449; “Terroristichesko-ekstremistkaia organizatsiia PIVT instrument vedeniia gibridnoi voiny” [The terrorist-extremist organization IRPT as an instrument of carrying out hybrid warfare], Government of Sughd, 17 May 2018, www.sugd.tj/index.php/tj/navid/9458-2018-05-17-06-55-12. 30. Alexander Cooley, “Countering Democratic Norms,” 56–7. 31. “Merkel Attacks Turkey’s ‘Misuse’ of Interpol Warrants,” Reuters, 20 August 2017, www.reuters.com/article/us-eu-turkey-election/merkel-attacks-turkeys-misuse-of-interpol-warrants-idUSKCN1B00IP; “Turkey Blasts German Chancellor Merkel for Criticism on ‘Misuse of Interpol,'” Hurriyet, 23 August 2017, www.hurriyetdailynews.com/turkey-blasts-german-chancellor-merkel-for-criticism-on-misuse-of-interpol-117083. 32. “Adalet ve İçişleri bakanlıklarından ‘kırmızı bülten’ açıklaması” [Statement from the Ministries of Justice and Internal Affairs on Red Notices], Anadolu, 20 May 2018, www.aa.com.tr/tr/turkiye/adalet-ve-icisleri-bakanliklarindan-kirmizi-bulten-aciklamasi/1152015; Erkam Çoban, “Teröristlere İnterpol kalkanı” [Interpol, a shield for terrorists], Sabah, 9 March 2018, www.sabah.com.tr/gundem/2018/03/09/teroristlere-interpol-kalkani; “THKP-C’li katile Alman kalkanı” [Killers from the People’s Liberation Party-Front of Turkey shielded by the Germans], Sabah, 24 August 2017, www.sabah.com.tr/gundem/2017/08/24/thkp-cli-katile-alman-kalkani. 34. Fair Trials International, “Strengthening Respect,” 13–14, 18. 35. Marlies Glasius, “Extraterritorial Authoritarian Practices: a Framework,” Globalizations 15, no. 2 (2018): 179–97. 36. Catharine Tunney, “Kremlin Critic Bill Browder Asks Canada to Help Kick Russia out of Interpol,” CBC, 22 November 2018, www.cbc.ca/news/politics/bill-browder-interpol-canada-committee-1.4915961.